During the last years, Ripple has been one of the most discussed cryptocurrencies. Despite the fact, that it was criticized due to cooperation with banks and other rumours, it remains an attractive coin. Nowadays, the market is still suffering the ’’bearish’’ trend, but XPR is trying to get the maximum from it. Hope this article helps you to analyze XPR price prediction for 2019. Ripple price prediction 2019: Can XRP reach $10? 2018 was a truly successful year for Ripple: while other cryptocurrencies suffered in the never-ending bearish market fever, XRP managed to survive and even climb to the position of the world’s second cryptocurrency by the market cap. What will happen next? Here’s our Ripple forecast 2019. Before we plunge into Ripple predictions, let’s refresh our knowledge of Ripple. This cryptocurrency is special: it has a different nature and destination, that’s why XRP has a higher potential than other tokens around. Ripple was invented in 2012 by Arthur Britto, David Schwartz, and Ryan Fugger who founded the Ripple company. Initially, they used C++ project code and designed a network for real-time gross settlement and currency exchange. In 2013, Ripple Transaction Protocol (RTXP) was introduced: the new payment protocol allowed for instant money transfer between two parties. Between 2014-2017, Ripple started putting a heavy focus on the banking market: RippleLabs experimented with an App for iPhone that allowed users to send and receive transfers. Since 2013, the Ripple protocol has been implemented by numerous financial institutions to offer an alternative remittance method for people. German bank Fidor was the first to use the Ripple network to drive cross-border payments in part of 2014. Prominent banks followed its suite: Cross River Bank, CBW Bank, Earthport, HSBC and Bank of America were the next to reap benefits from Ripple. So, what makes Ripple stand out from the crowd of altcoins? First, it uses the consensus protocol instead of the proof-of-work system (used by Bitcoin and many altcoins alike). The protocol validates account balances and transactions in the network, improves the integrity and avoids the risk of double spending. Thanks to this protocol, a transaction is processed within 5 seconds, which is quite speedy. Versatility: Ripple is easy to adopt, that’s why banks and financial organizations prefer it for performing their business operations. Exceptional transaction speed. Within 5 seconds, a transaction is settled, registered and verified. This is a significant improvement – Bitcoin takes 10 seconds to finish an operation, while a traditional wire transfer can take several days or even weeks. Low transaction fee: 0.00001 XRP is nothing compared to the cost of a cross-border payment. The list of Ripple’s advantages is endless, but they all boil down to one simple fact: Ripple is the most efficient cryptocurrency for cross-border bank transfers. Although Ripple price prediction 2018 didn’t come true, and the coin hasn’t reached $1 yet, the vast majority of crypto experts are still very optimistic: some are sure the coin can reach the $5 threshold this year. Wonder if it’s possible? There’s a myriad of aspects that dispel doubts. So, what will trigger the growth of Ripple down the road? Ripple addresses the major banks’ problems: slow transaction processing speeds, high transaction costs, and lack of safety. Besides, it makes cross-border payments way more efficient than traditional payment providers. Thanks to these facts, many financial institutions are eager to implement Ripple: the number of current partners has already exceeded 100 institutions. With so many influential supporters around, how can it fail? XRP price prediction is positive mostly due to the hype around corporations. What about individual traders? Will they get a piece of the pie? The rumor goes that XRP could be added to Coinbase, one of the largest and most popular trading platforms. XRP community is anticipating this even, and such announcement will be very bullish for the coin. Since Ripple positions itself as the preferred distributed ledger technology for cross-border financial transactions, it’s being adopted by financial organizations around the world. Unfortunately, XRP price doesn’t rise correspondingly with the number of partners. Why so? Some crypto experts suggest that some companies do not utilize Ripple’s native XRP coin. The Flutterwave company. Flutterwave is an African firm that strives to bridge the gap between Africa and the global economy. If wants to utilize Ripple to create a payment infrastructure for completing this task. This partnership will open the gates to Africa for Ripple that’s used in other parts of the world. The xCurrent technology will enable instant payments in real time and is said to impact XRP price positively. Changelly, a virtual currency exchange, will allow users to buy XRP using debit or credit cards. It’s possible thanks to SimplexCC credit card processor. The platform is encouraging people to invest in XRP, and many users will surely follow this advice now when buying crypto is made cheap and easy. Ripple can boast a long list of current and future partners: dozens of financial institutions will be using the XRP token in 2019, so it’s logical to assume that Ripple 2019 value will soar. Until recently, Visa was the fastest company in terms of transaction processing speed. However, Ripple has overtaken the top position. After the latest upgrades, its system is able to process up to 50,000 transactions per second (Visa can process up to 24,000 TPS only). Now Ripple offers the xRapid package: corporations subscribing for it can enjoy faster and safer transactions. Besides, it reduces the cost of currency exchange, which can save companies millions of dollars. According to investinghaven.com, Ripple prediction is $20. This conclusion is based on fundamental and chart analysis combined. The forecast will be justified, if institutional money continues flowing to XRP, Ripple’s tech solutions promote using XRP, and the company continues growing its revenue. Such websites as fxstreet and express.co.uk give moderate Ripple price predictions: they believe that XRP has enough potential to triple its value and reach around $3-$5 by the end of the year. This assumption is based on the fact that Ripple is the best investment opportunity of this year. Ripple coin news, one of the largest news websites, states that 2019 will be a smooth period for the currency, and new technologies together with new partnerships might help it to reach the price of $8-10 dollars. UsLifted, a crypto prediction website gives the following Ripple XRP price prediction: its specialists believe that by 2020, XRP can reach $22.79 with a circulating supply of 38,739,145,924 XRP. 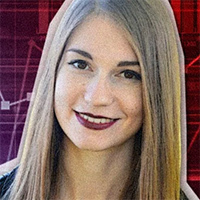 According to Coinswitch, XRP will reach about $1,20 in 2019. The Economic Forecast Agency claims that Ripple would fall further to $0.32 in 2019. This scenario might be real if the product will no longer be used. Metro, the Uk’s biggest newspaper publication states that Ripple would fall to $0.22-0.28. Why so? They suppose that Bitcoin will continue dominating the market and even reach $20,000. Thus, the vast majority of companies are sure that Ripple won’t reach the $10 threshold, but $5 is a realistic sum. Even the value of $5 will represent 15x ROI, which is great. 👉MUST READ Ripple Price Prediction - How Much Will XRP Cost in 201820? A fly in the ointment: Why Ripple price forecast can be false? Are there any factors to hinder Ripple’s growth? Surely, the crypto community has a few concerns over the future of XRP. I think it’s very clear XRP is not a security. There is a whole number of reasons for that. If Ripple the company shuts down, XRP trades on over a hundred exchanges around the world and XRP would continue to trade. Ripple is one important participant in the XRP ecosystem but there are a whole bunch of participants. Secondly, some crypto enthusiasts blame Ripple for going against the principles of cryptocurrency. While crypto is meant to be decentralized (which means no company can have control over it), Ripple Labs hold 50% of overall XRP supply. That hurts liquidity of the coin and can have a negative impact on its price. Another sign of centralization is the consensus ledger approach that differs from Bitcoin standards. Ripple uses validated participants to verify operations – only pre-approved participants can verify transactions. This is another form of authority Ripple Labs have. Thus, Ripple doesn’t play by typical rules – it has a centralized structure. Besides, the company puts a heavy focus on the payment tech rather than its cryptocurrency. However, if financial institutions don’t get discouraged by those facts, there’ll be nothing to stop Ripple from further growth. Just look at the list of supporters: it’s enormous! How high can Ripple go? Considering the current Ripple achievements and the major companies it partners with, the predictions are mostly positive! Ripple Labs has already found a lot of supporters, they’re gradually implementing their tech all over the world and are working hard to live up to investors’ promises. Our prediction is that Ripple can reach $3 in 2019: this assumption is based on the current Ripple developments. But please remember that no one can give you a 100% warranty: the world of cryptocurrency is very unstable and unpredictable, and things can change in a matter of a few days. Do NOT invest more than you’re ready to lose. If you want to bet on Ripple, use the money you can allow living without.